For a recent assignment I went on a little bit of a magazine spree. I never used to believe in magazines, didn’t like spending money on things that you read once and have read-once value. I’m slowly being convinced. These are some of the marvels I got my hands on. Australian magazines the lot of them. The clear winning favourite of most of my friends. It’s full of fun, cute interesting things, it’s a bit sassy, makes it’s statement and each issue comes with a rather splendid poster. Good photography, good writing, great feel. My 50ish year old male tutor at uni thinks it’s one of the best positioned magazines out there – it targets it’s audience so well. I couldn’t agree more. I love it. I buy most issues (except when I’m feeling like I’m being sucked in and do the whole ‘don’t buy to rebel’ thing), the truth is I really am sucked in and I really love that they use an ‘unknown’ on each cover. A little A5 production, in it’s early years so it seems. It’s based on a blog – which is cool. Cute stuff, lots of DIY. I bought it because it was small, fairly inexpensive and looked cute. I might buy it again but it’ll probably be dependent upon content. Love the good DIY project. Mixtape is down to earth, friendly and not pretentious at all. It did carry the feel of a blog in being a little haphazard in what it wanted to be – but as the cover says it’s about the small things in life that make you happy – and in that they’ve done quite well. It’s eco fashion. I bought it because I was interested (and the uni thing). I haven’t read it cover to cover and am a little disappointed it isn’t more practical, but that’s probably more the fault of me living in the outer east of Melbourne more than anything. It’s got a nice feel and it’s really positive to see a magazine targetting this kind of thing, again I’m not a huge fashion person but there are plenty out there to whom fashion presses big buttons. 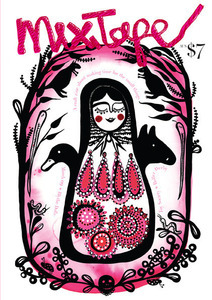 Great article on fair trade and a decent one on green graphic design. Brand spanking new, in it’s second issue. 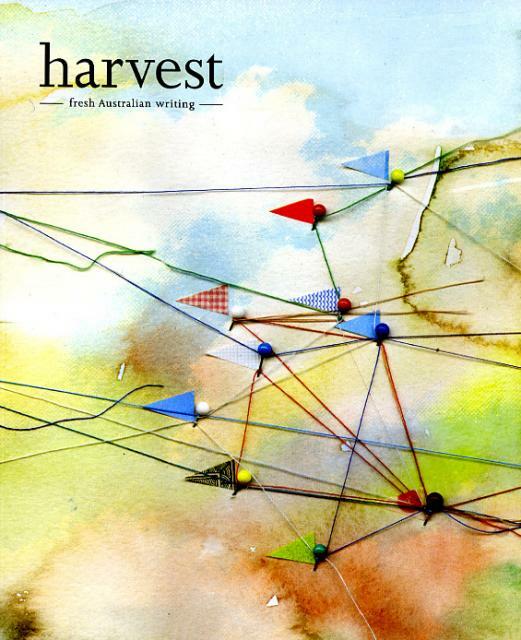 Harvest looks at ‘fresh Australian writing’ and I certainly wasn’t disappointed. It is quite different from the others and is more a mook (I think that’s what you call it! ), the most inspiring personallly – it appears I really am a wordy person. I’m still digesting it, for $15 the volume of content is phenomenal. Writing like this makes me happy. It’s not devoid of nice imagery either but the imagery is there to support and not to demand attention. Lovely variety. Lovely, lovely words. Lovely, lovely, lovely.